Alaska Natural Raw Cat Food is a top quality raw cat food and its meaty preparations are inspired by nature itself, and in particular the forefather of our trusty felid companions: the wild cat. Alaska raw cat food is sourced from human grade fresh raw ingredients: 100 % raw meat, soft bones and organs which have been minced to 6mm. Only the protein sources stated on the description is what is included. In short: 100% natural cat food. Alaska raw cat food is frozen immediately after production so that the naturally present vitamins are retained. By varying your cat's diet with a selection of Alaska cat food flavours and other raw meats; you're giving your cat a wide range of nutrients in the correct proportions. 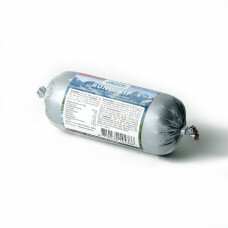 Alaska Natural Catfood is packaged in a convenient 250gm sausage. Recommended amount: ca.35 grams Alaska Natural Catfood per kg body weight per day. A healthy raw meat meal based on 100% turkey. Composition: 100% Turkey: meaty backs (35%), ..
Alaska Cat Turkey - Bulk Box (22 x 250gm)A healthy raw meat meal based on 100% turkey. Compo..
A healthy meal based on 100% chicken. 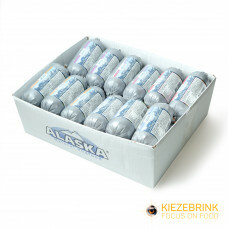 Composition 100% ..
Alaska Cat Chicken - Bulk Box (22 x 250gm)A healthy meal based on 100% chicken. Composition ..
A healthy meal based on 70% beef and 30% chicken. Composition: 70% beef: meat (20%), meaty tongu..
Alaska Cat Beef/Chicken - Bulk Box (22 x 250gm)A healthy meal based on 70% beef and 30% chicken. ..
A healthy meal based on 100% rabbit. Composition: 100% Rabbit: meaty backs (67%), heart (9%), lu..
Alaska Cat Rabbit - Bulk Box (22 x 250gm)A healthy meal based on 100% rabbit. Composition:100% Ra..
A healthy meal based on 65% fish and 35% lamb. Composition: 35% Salmon: bodies (20%), heads (1..
Alaska Cat Lamb/Fish - Bulk Box (22 x 250gm)A healthy meal based on 65% fish and 35% lamb. Compos..
As Alaska Natural Catfood does not contain added vitamins it is important to provide your cat with a..